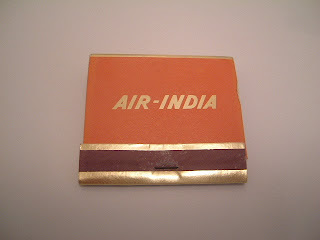 CHOR BAZAAR WORKSHOP: Air India Matches - WOW! Air India Matches - WOW! 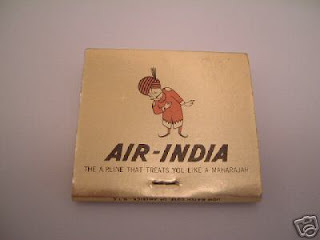 What happened to the cool Air India? It must have been great during the 70s? 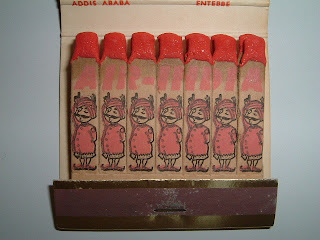 I Stumbled on this ebay item VINTAGE Air India Matchbook Matches NEAR MINT!!! The price is a bit steep, but where are you going to find this kind of stuff? 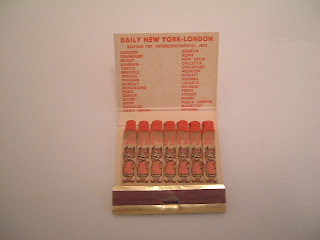 The Maharajas on the match sticks is a great idea. Wow is right! Nice buy! Worth something to the keen kollector! Love the thick match head, you'll get a really big spark from that head!!! Then you can watch the ole' mascot burn into bliss!!! Yea! The Indian Pyromaniac will love this stuff. can you guys make a shirt with the Air India maharaja guy on it? CAn't belive you didnt put the Air India Logo on a shirt: HOT CAKES BRO!! !